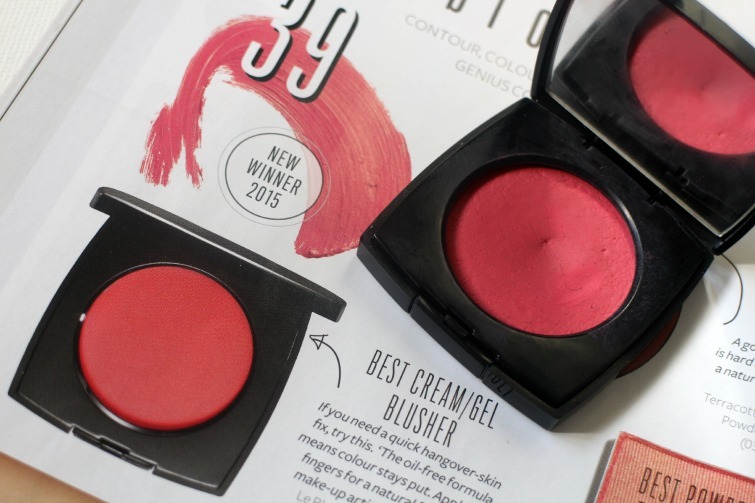 Chanel Cream Blush made an appearance as winner of the 'best cream blusher' in InStyle's Beauty Awards this year and I can see why as they are a lovely product. I have the shade Affinite which is a bright pink that creates the perfect flush of colour on cheeks. I always reach for this blush when I want something I can rely on, know it will suit most fashion looks and can be applied either with a stippling brush or fingers. For the reason it can applied so easily I often have this in my in flight make up bag as you may remember from this post. Heavily pigmented a few dabs on the cheeks can be blended out nicely to give the perfect look. Chamade a red tone has been on mind for sometime and I think the fact it's never lost my consciousness its time to put those Boots Advantage Card points to use. Have you used Chanel Cream Blushes? Never used cream blush - tend to just stick to powder - I'm not confident with make up (although I love buying it!) and fear I'll look like a clown and have stuck with the same stuff for years!! Or Aunt Sally?! ;o) Give it a try - cream blush can make life so much easier as long as you apply tentatively and build up! This does look a lovely shade, but I'd never be able to pull it off though! Looks amazing, I've never tried it - perhaps I should! of course you should - it's Chanel!